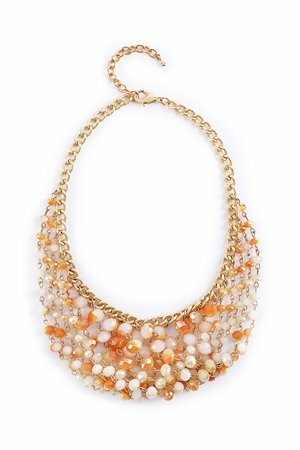 The perfect piece to glam up your Saturday Night. 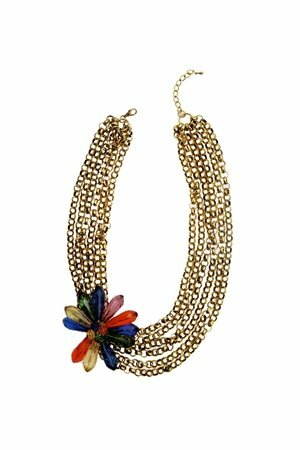 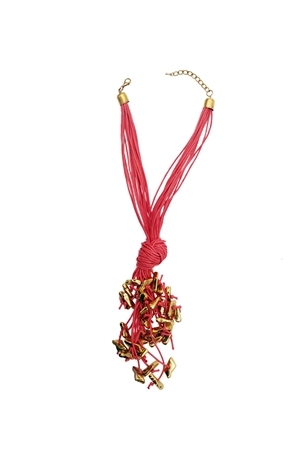 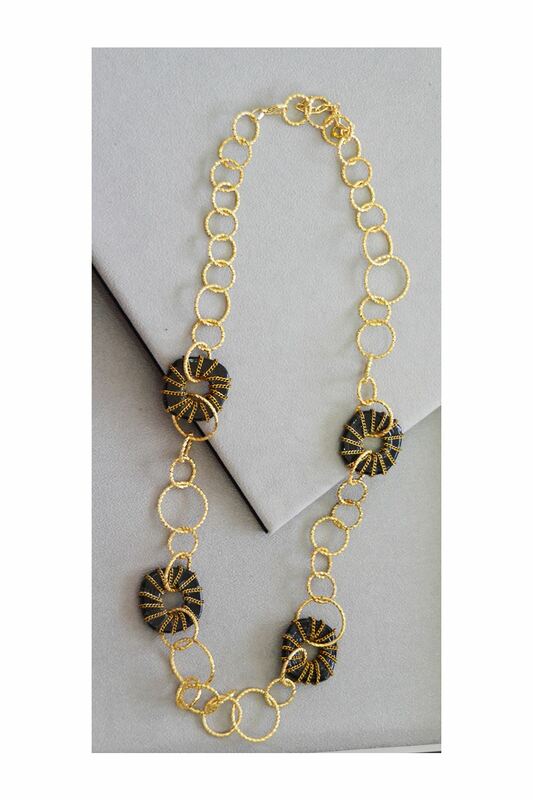 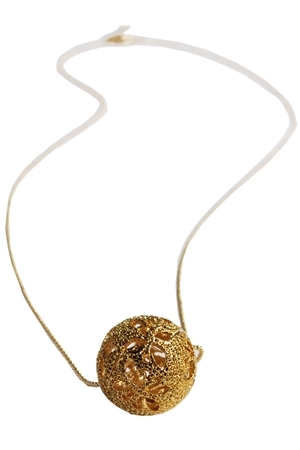 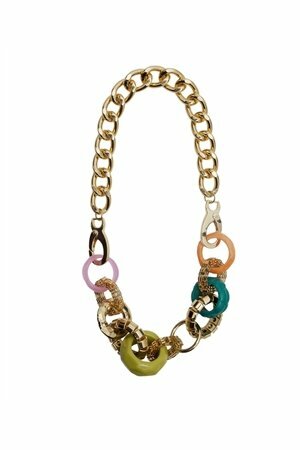 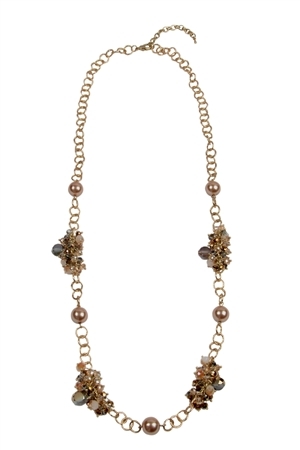 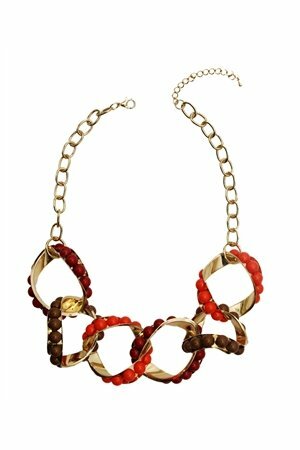 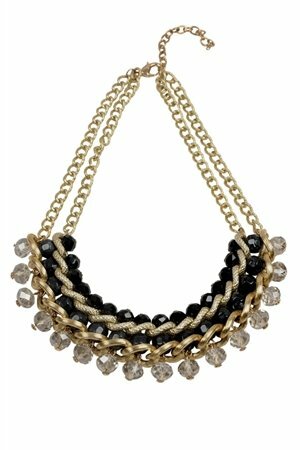 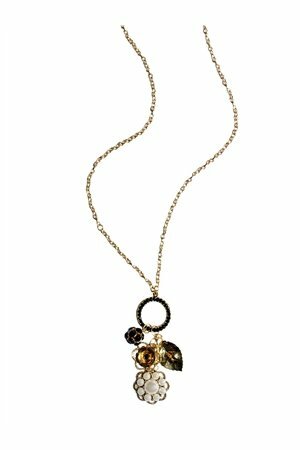 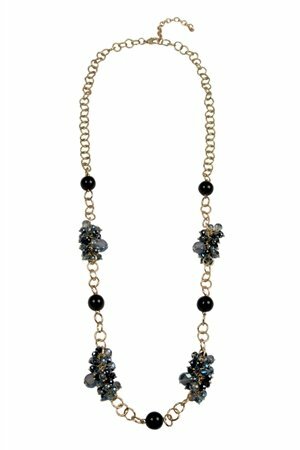 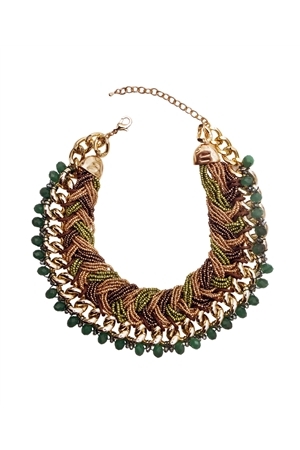 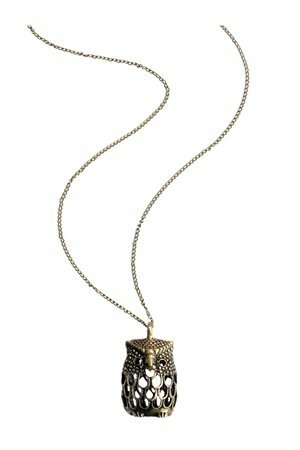 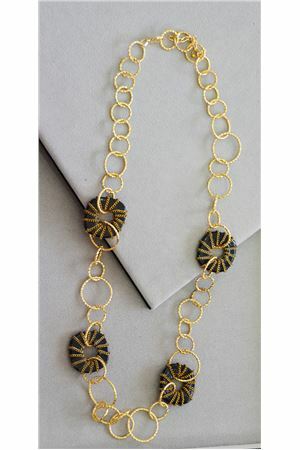 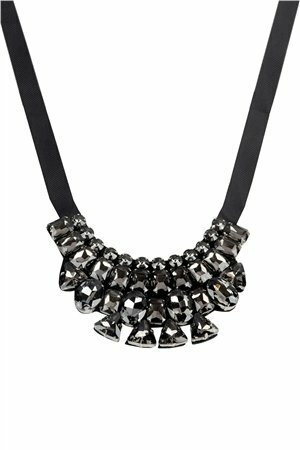 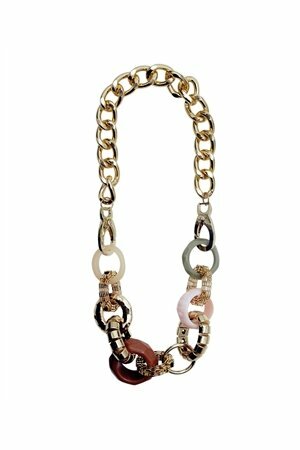 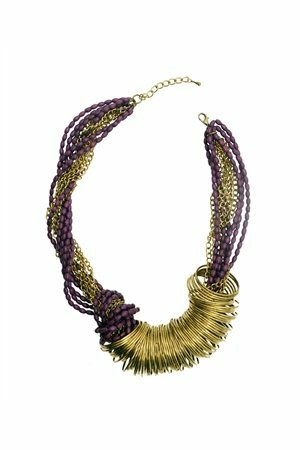 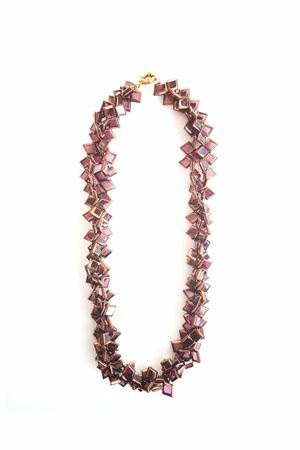 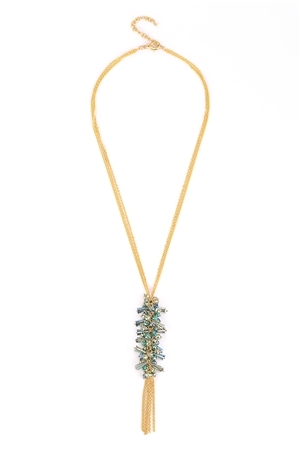 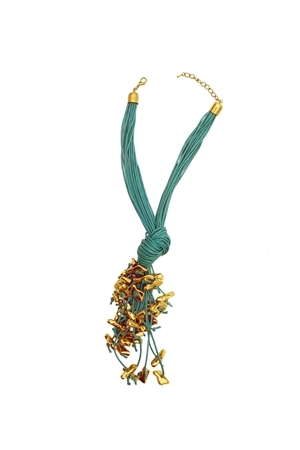 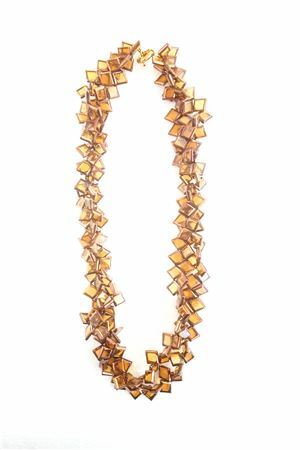 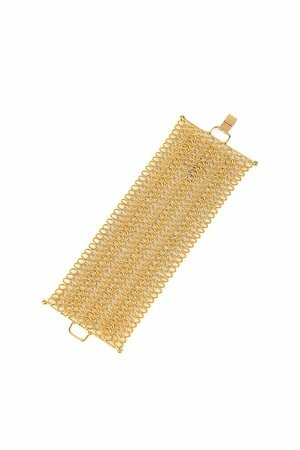 The gold chains on black glass give this neckpiece a striking contrast of color and texture. 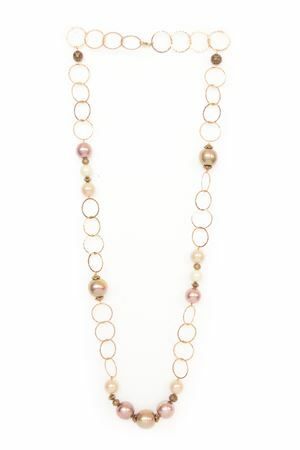 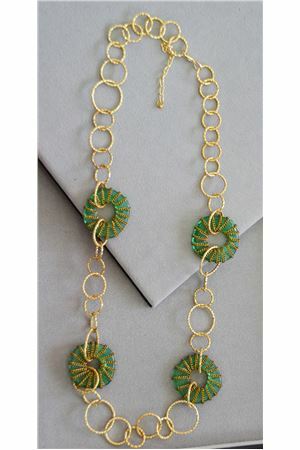 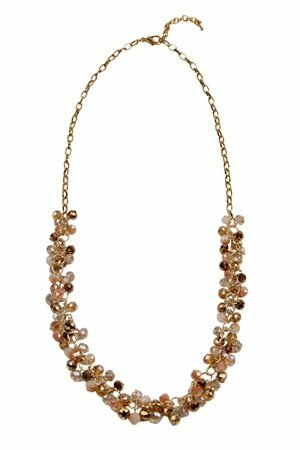 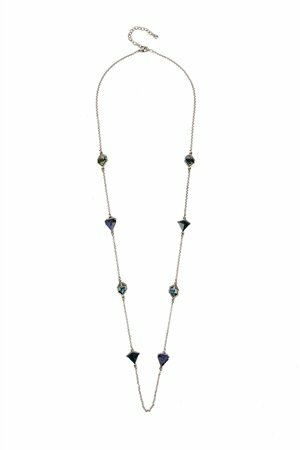 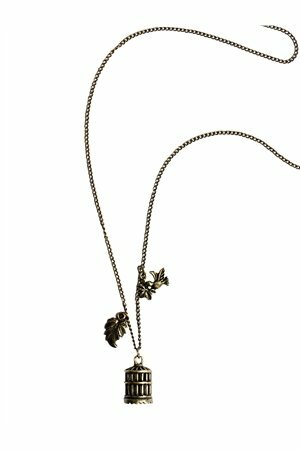 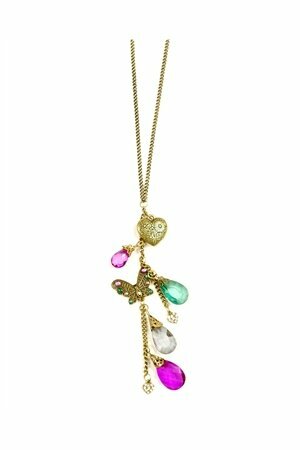 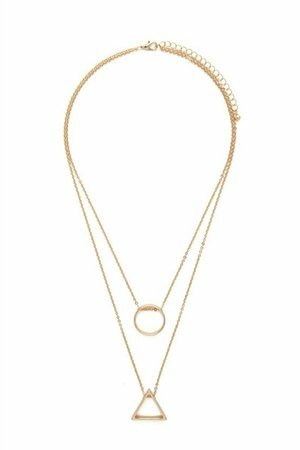 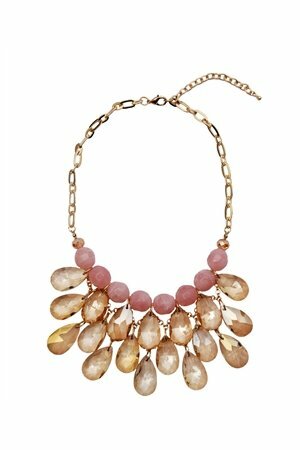 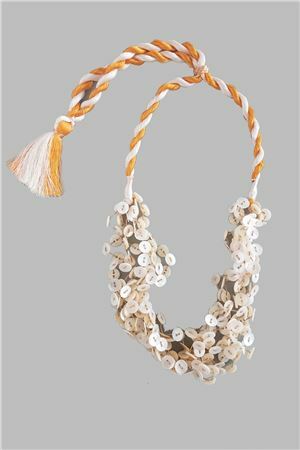 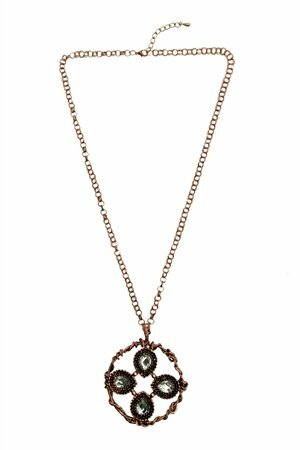 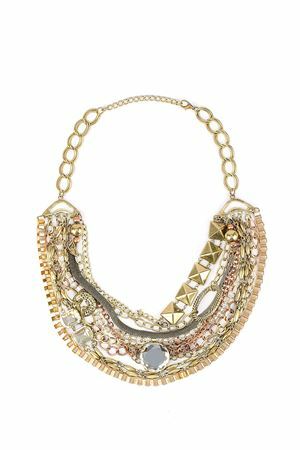 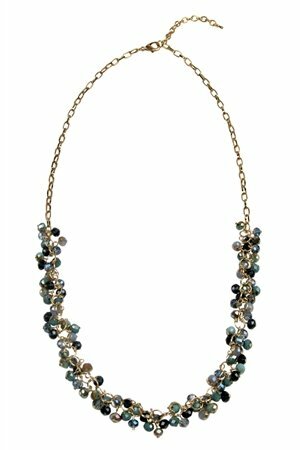 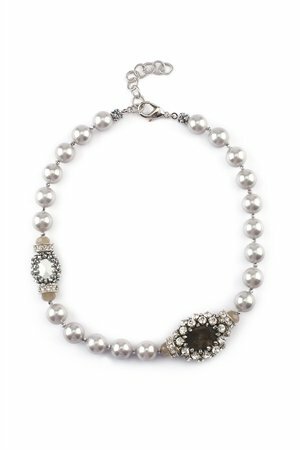 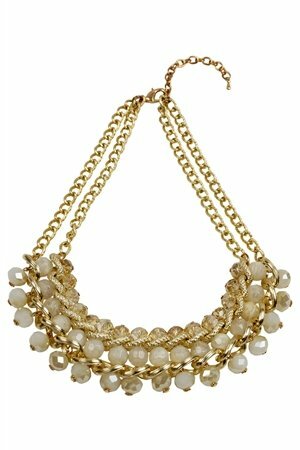 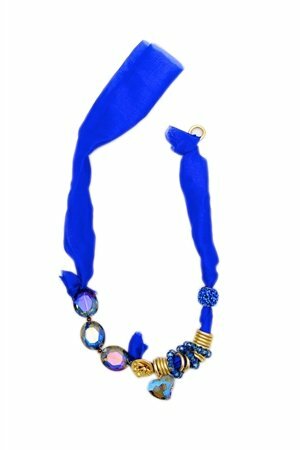 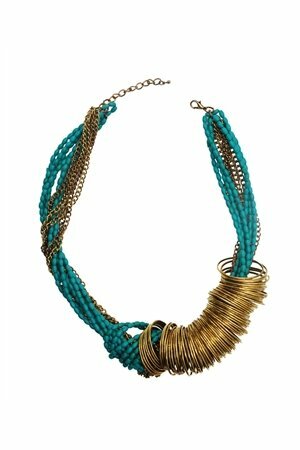 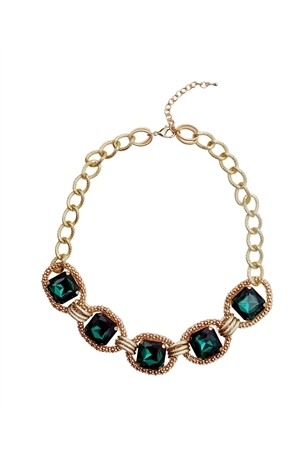 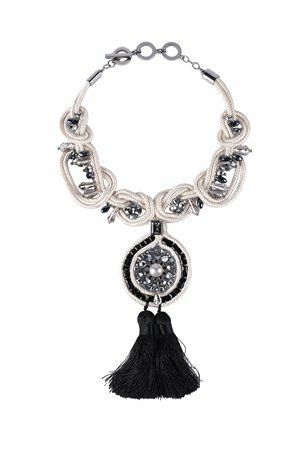 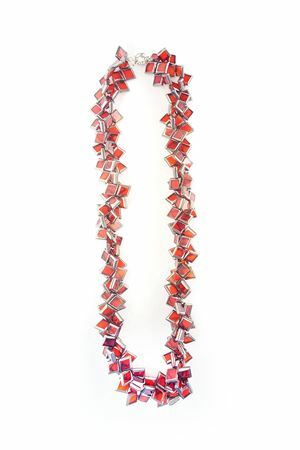 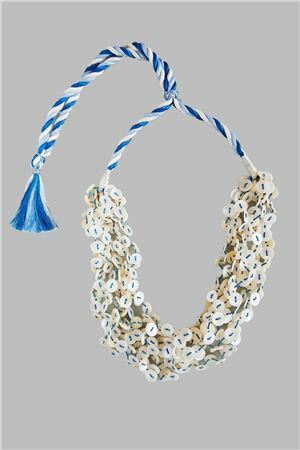 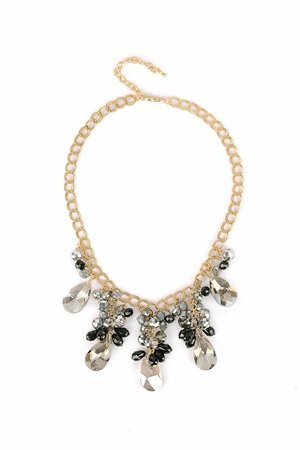 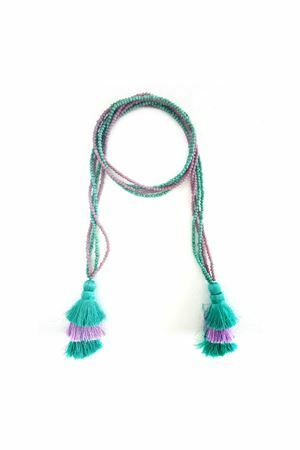 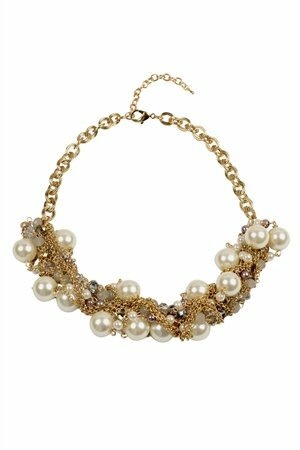 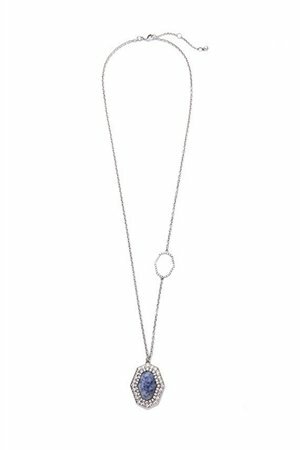 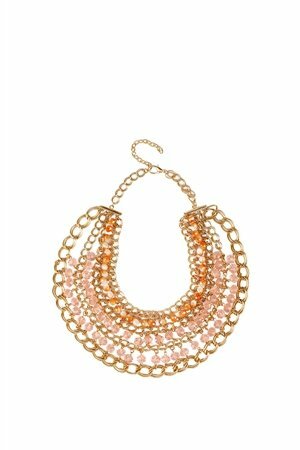 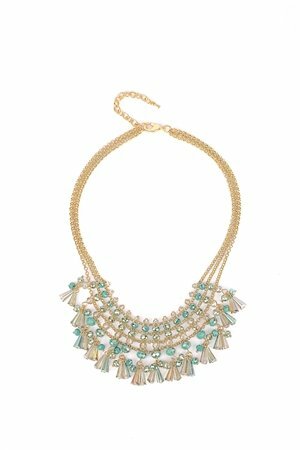 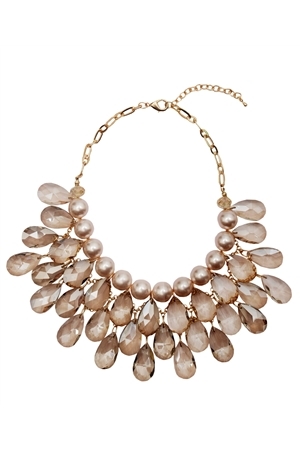 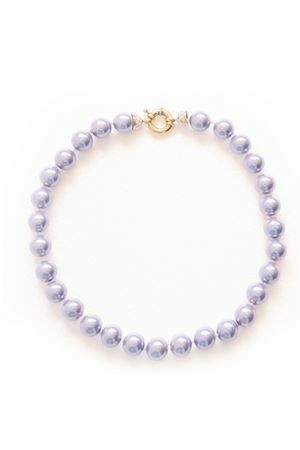 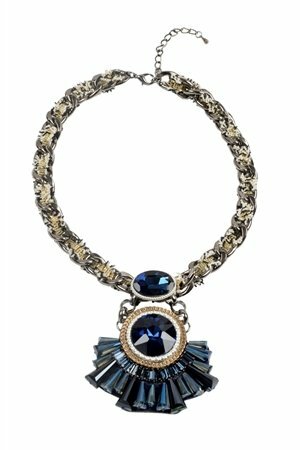 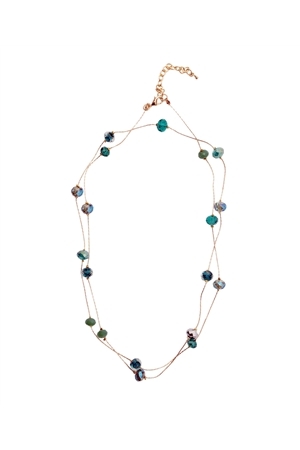 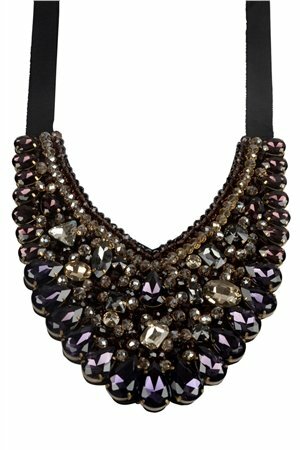 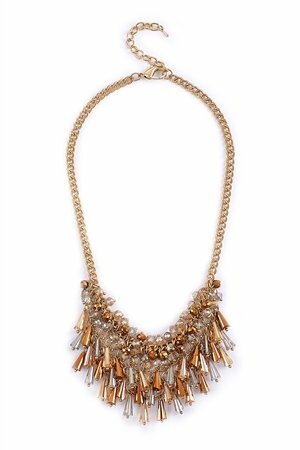 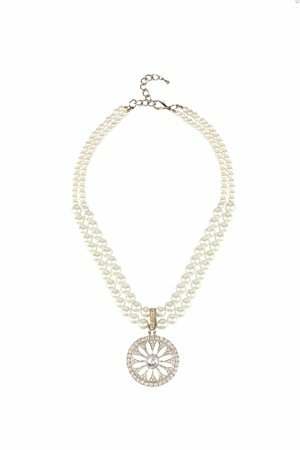 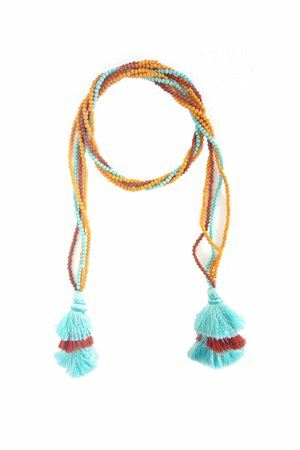 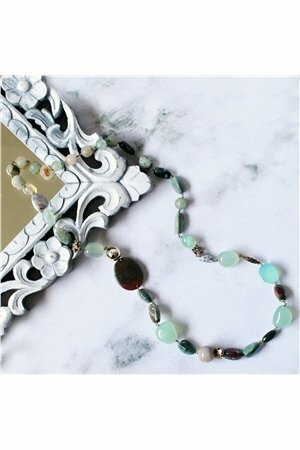 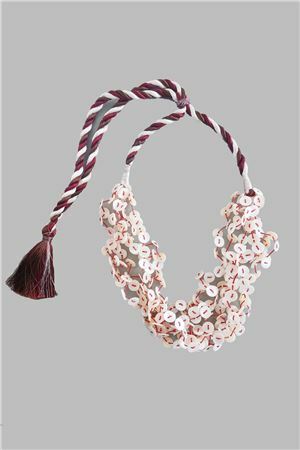 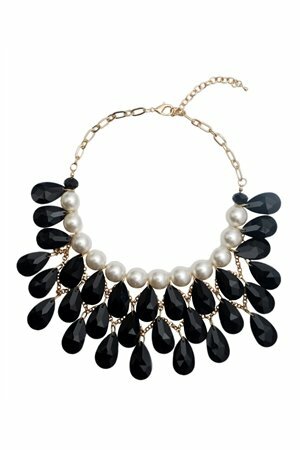 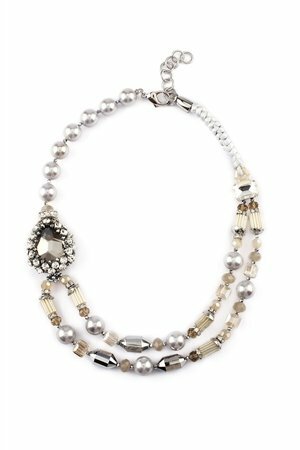 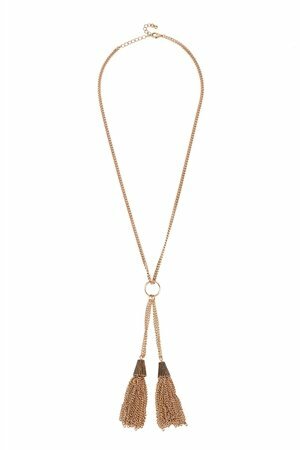 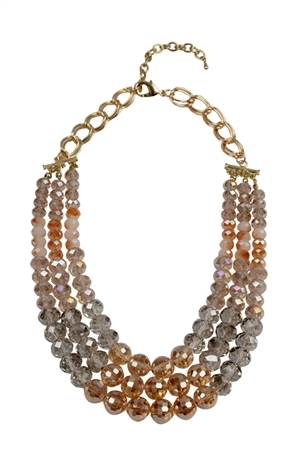 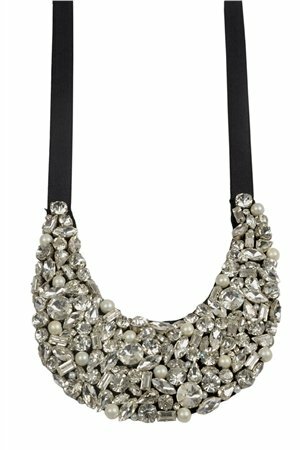 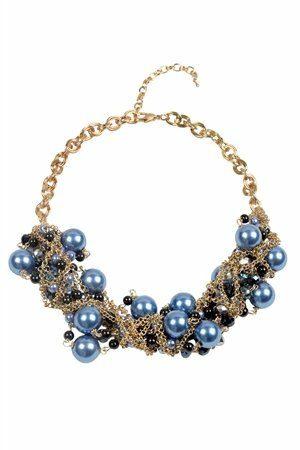 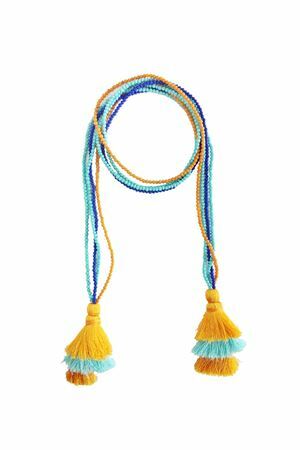 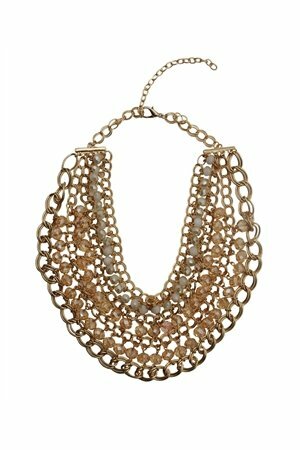 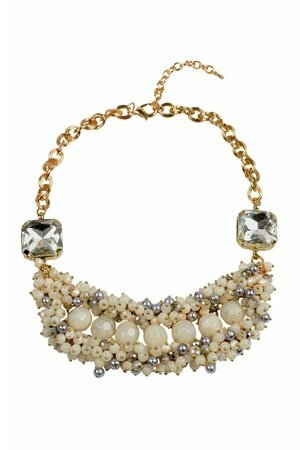 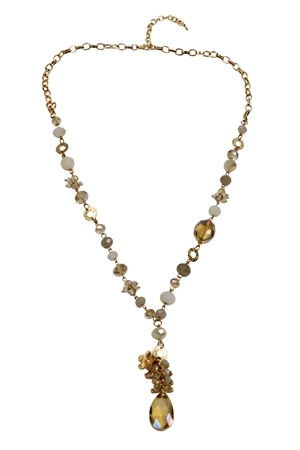 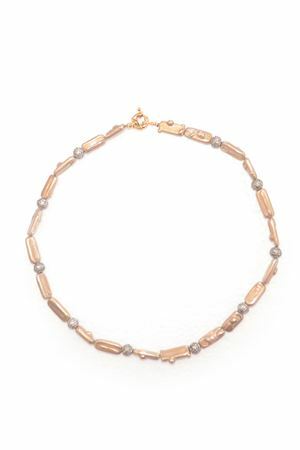 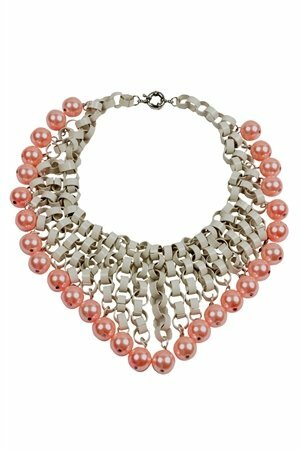 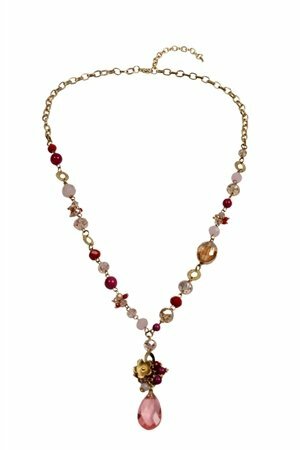 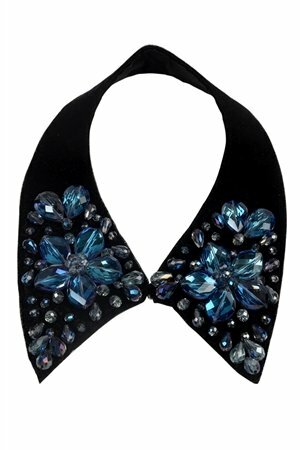 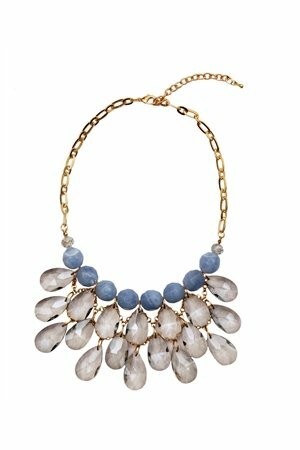 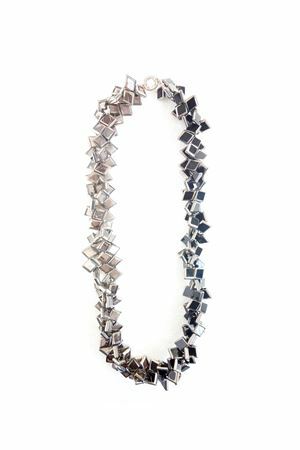 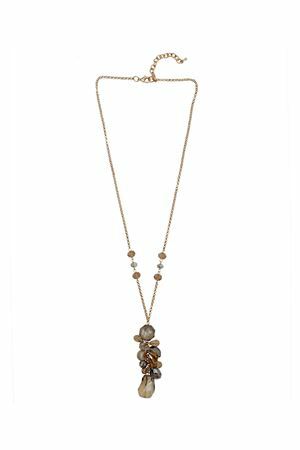 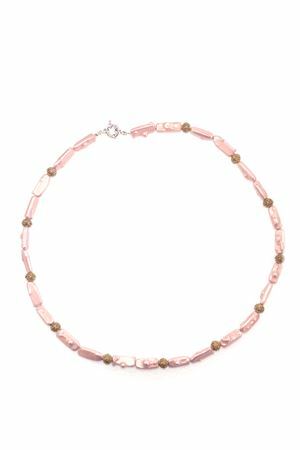 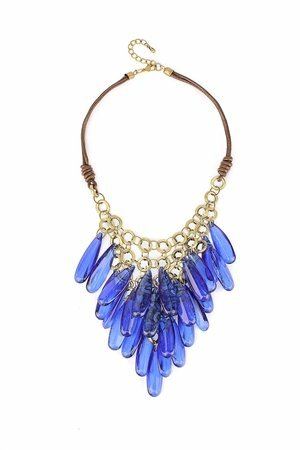 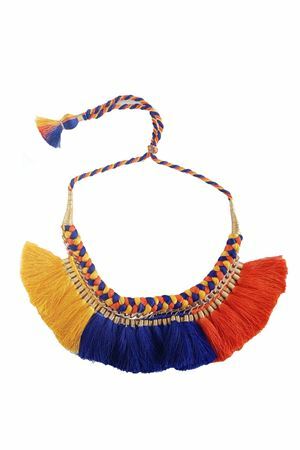 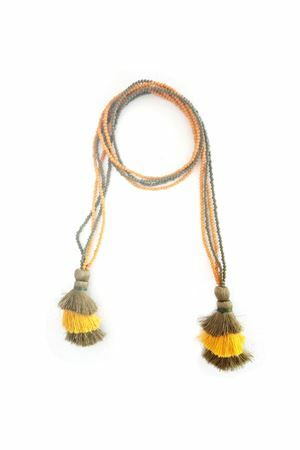 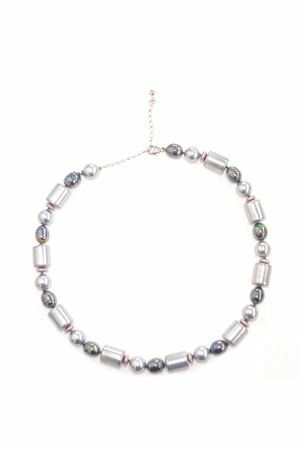 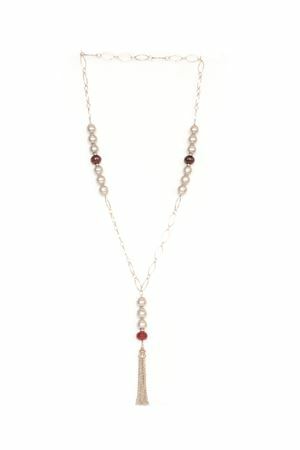 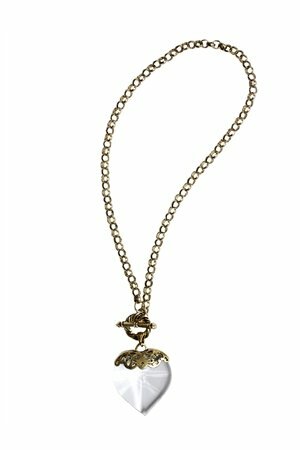 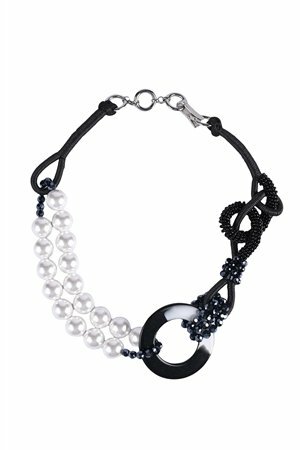 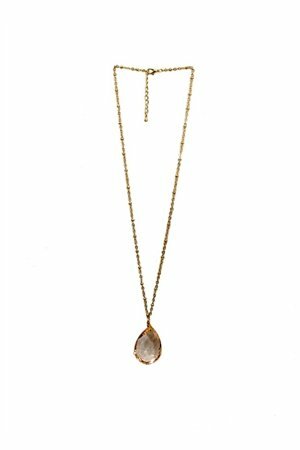 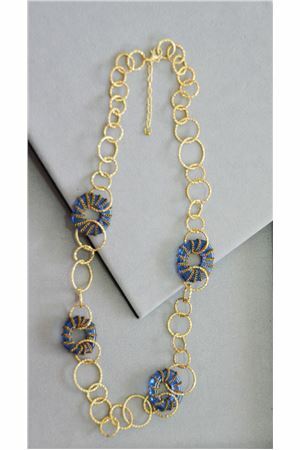 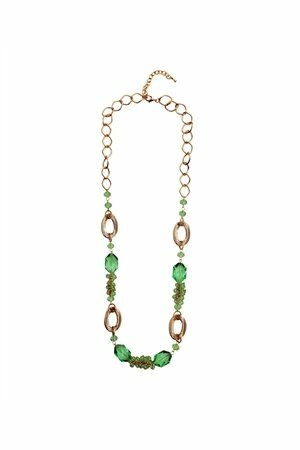 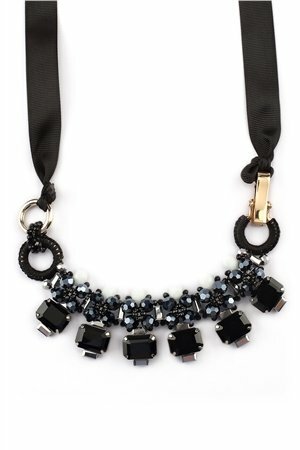 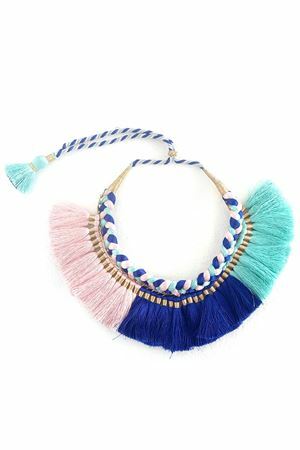 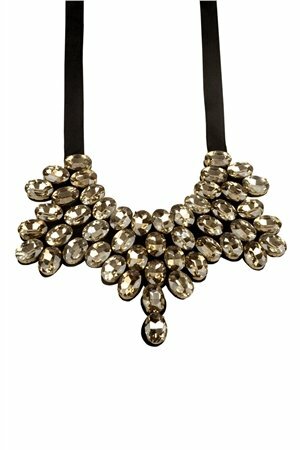 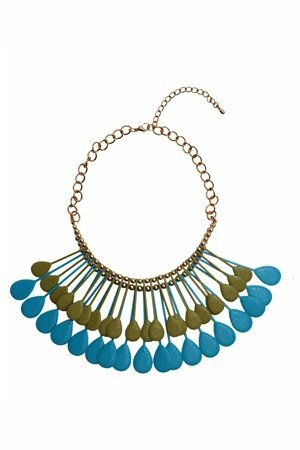 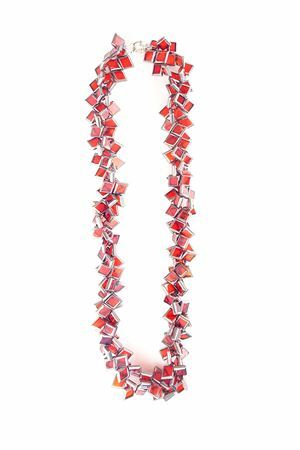 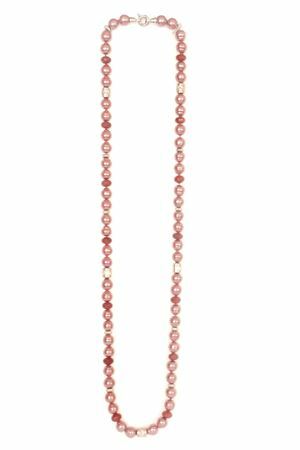 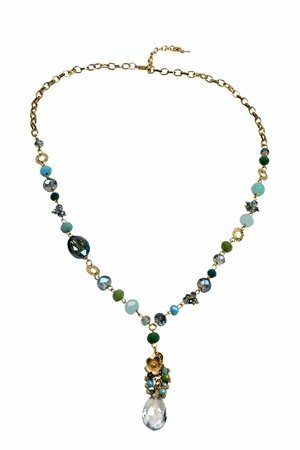 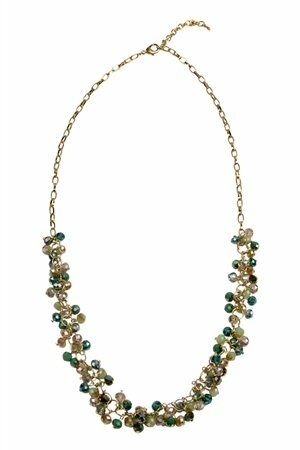 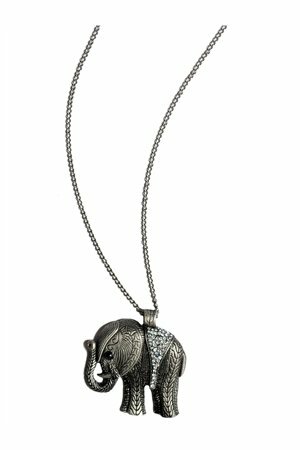 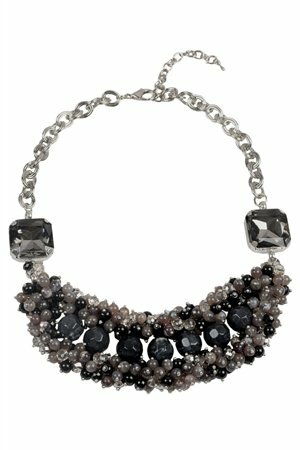 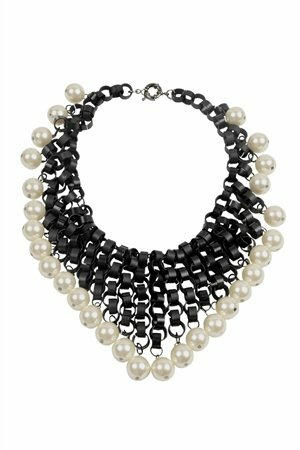 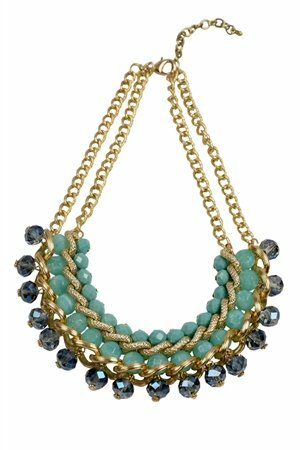 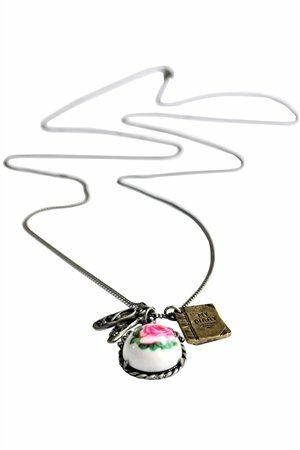 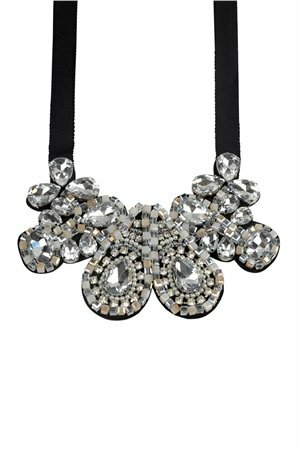 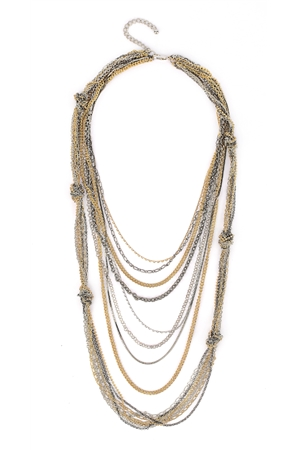 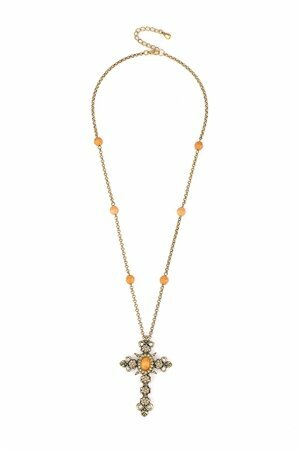 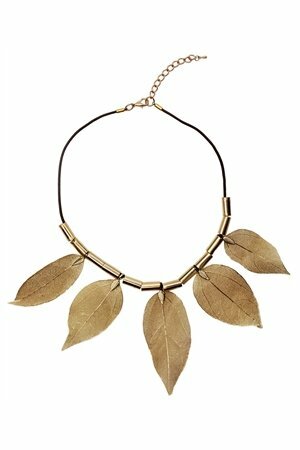 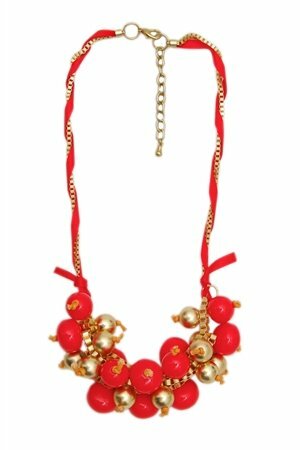 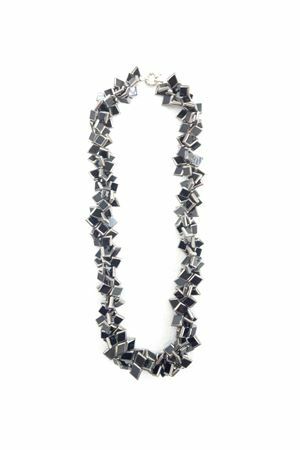 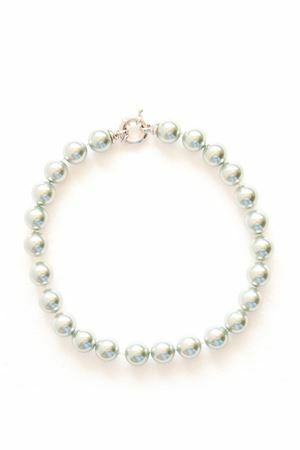 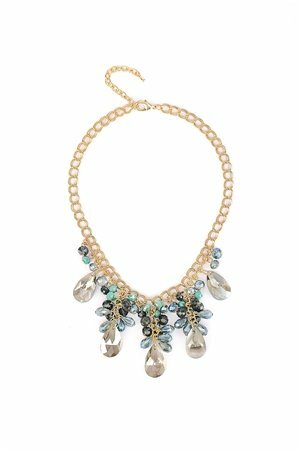 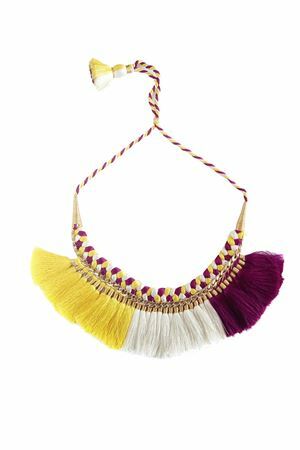 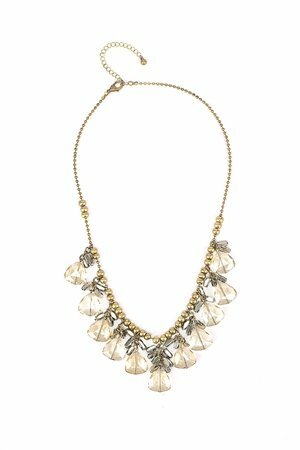 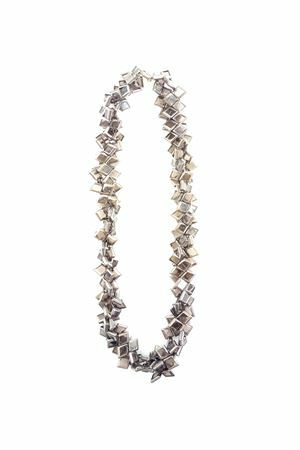 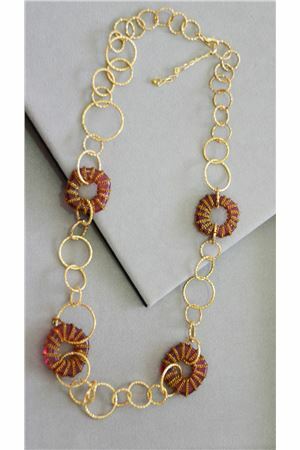 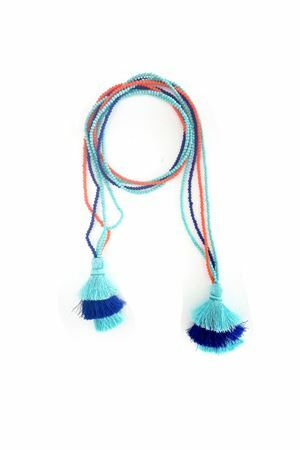 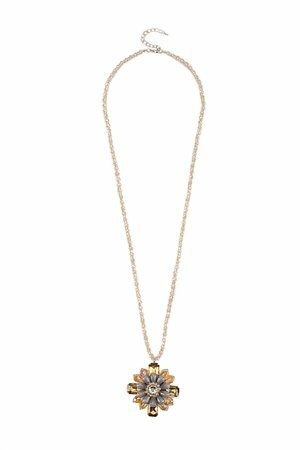 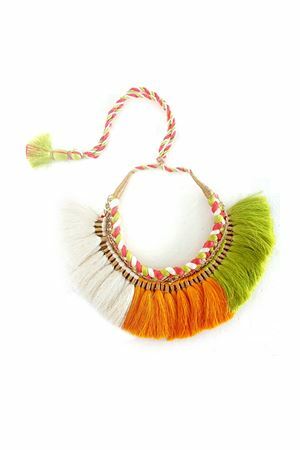 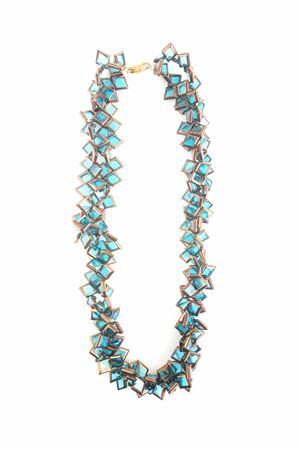 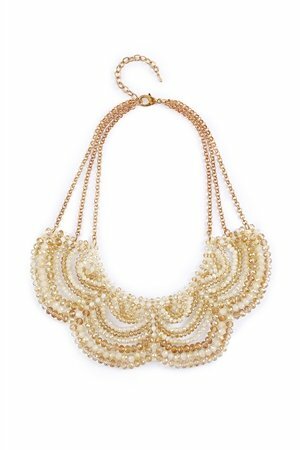 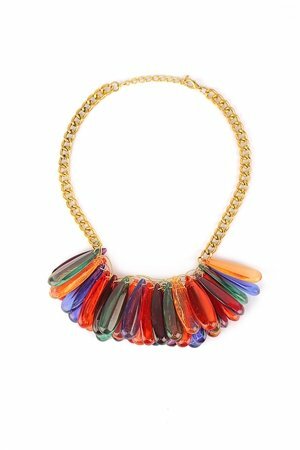 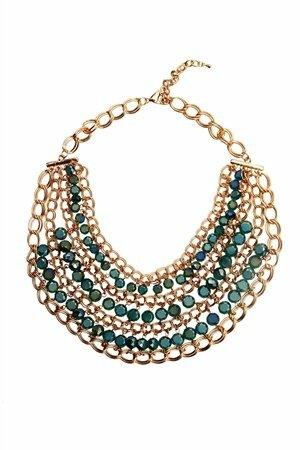 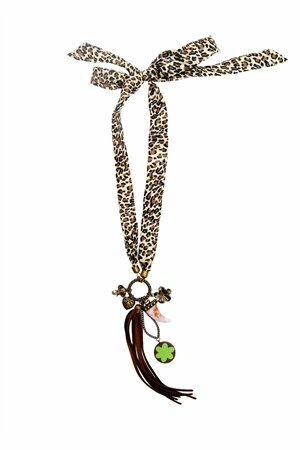 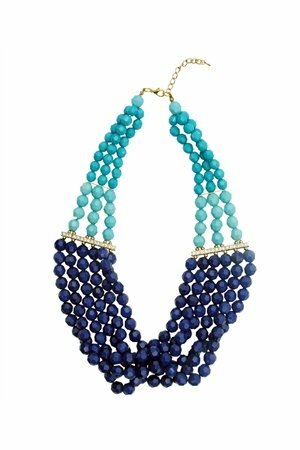 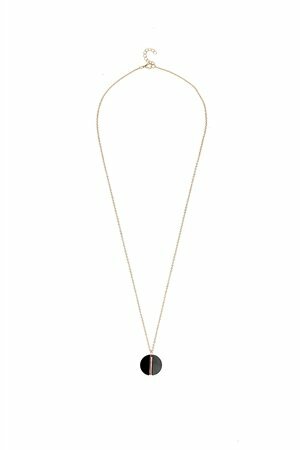 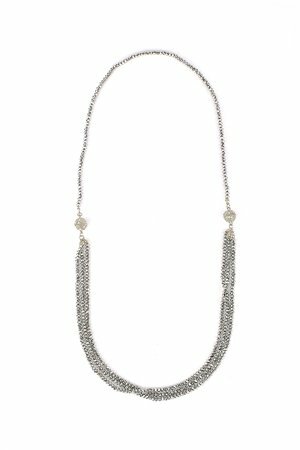 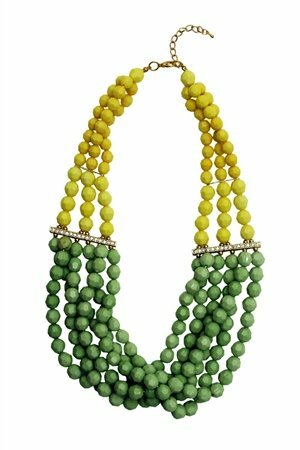 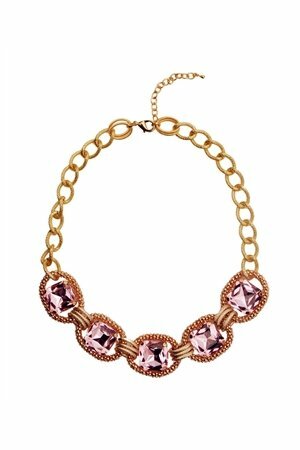 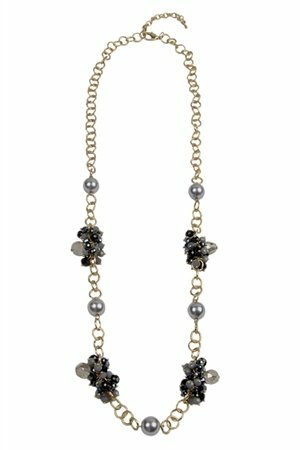 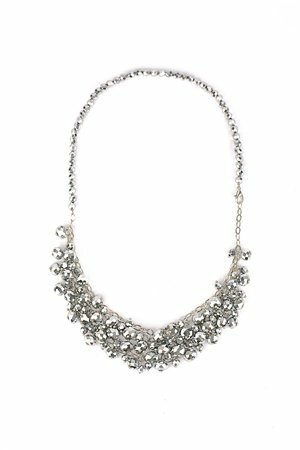 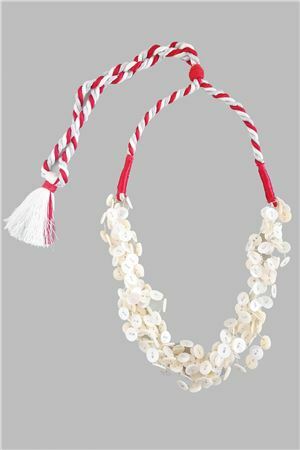 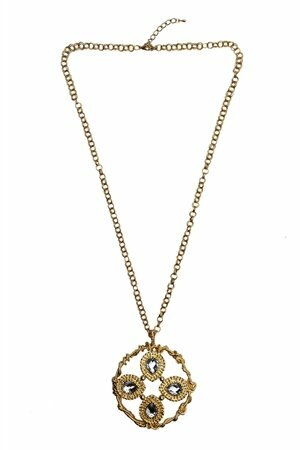 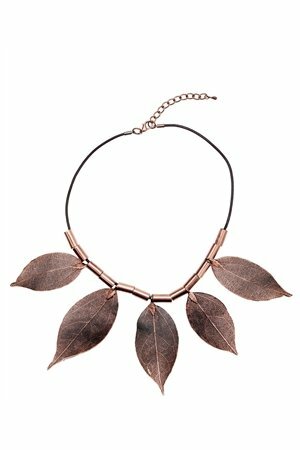 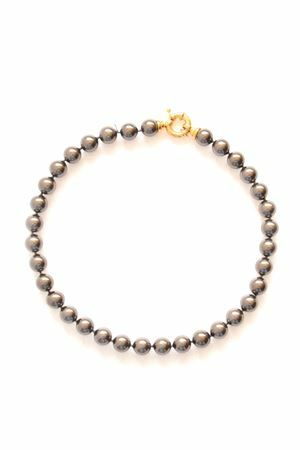 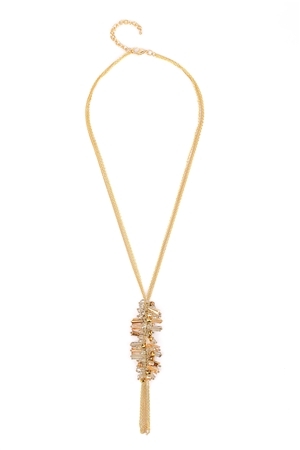 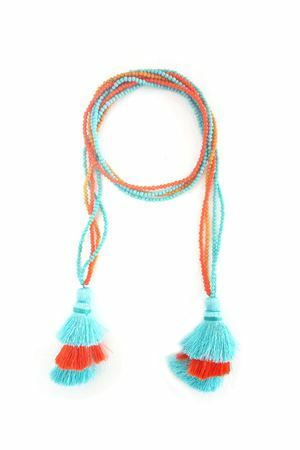 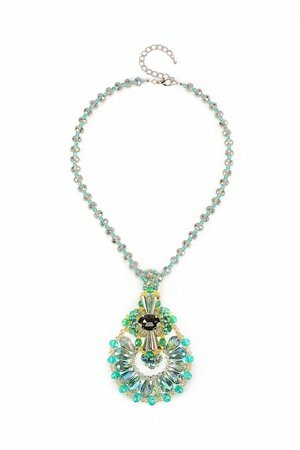 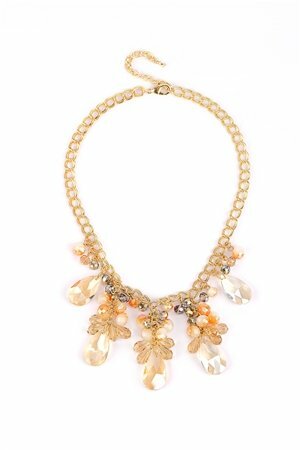 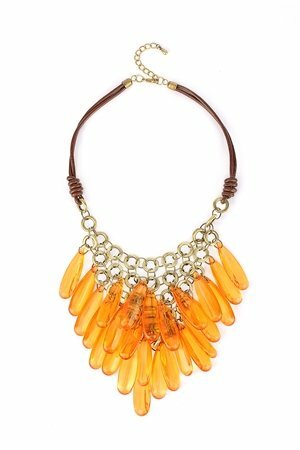 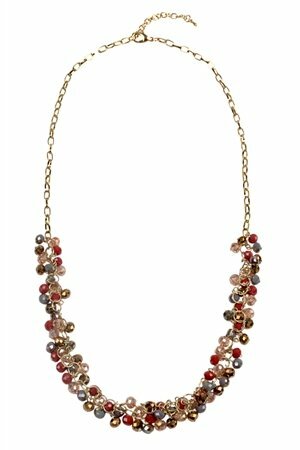 Pair this necklace with your LBDs to make a subtle statement.